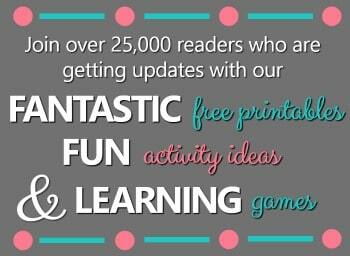 When possible we like to kick off a new activity with a book of some sort. 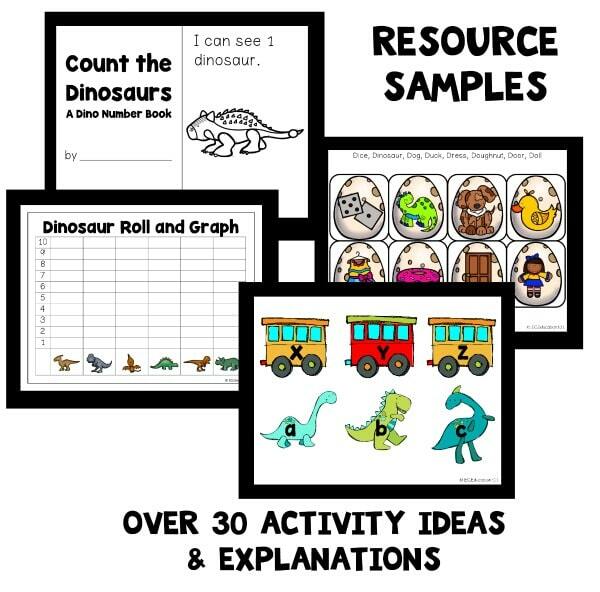 There are some terrific counting books to include in your dinosaur theme. Here are some of our top picks for dinosaur counting books. You can also find more of our favorite dinosaur books in our dinosaur picture books and dinosaur nonfiction books posts. 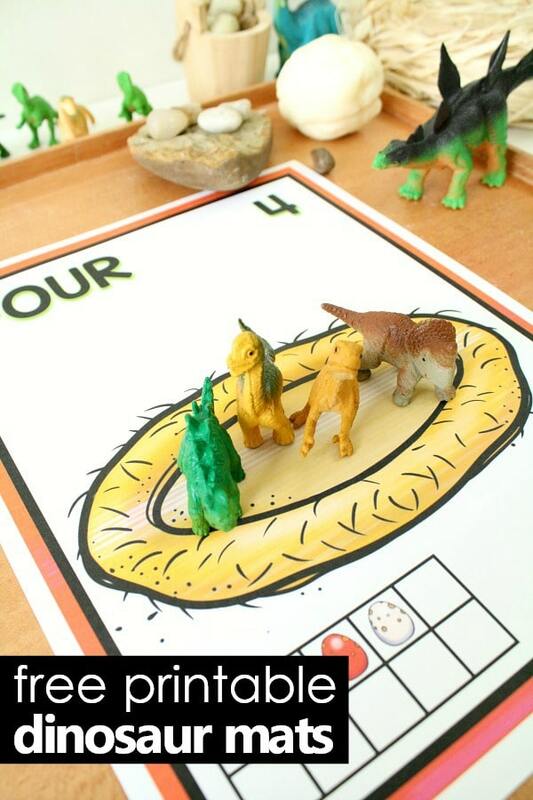 After printing your dinosaur play dough mats you may want to laminate your mats or place them in plastic sheet protectors. Then you’ll be able to use them over and over again. 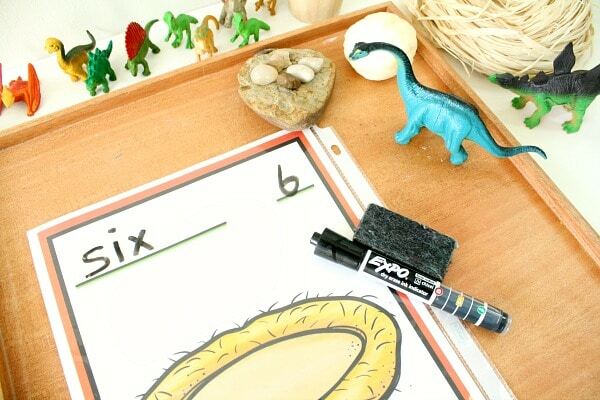 Set out your mats with the manipulatives you have on hand, and grab some dry erase markers if you’ll be using the blank mat included in the set. 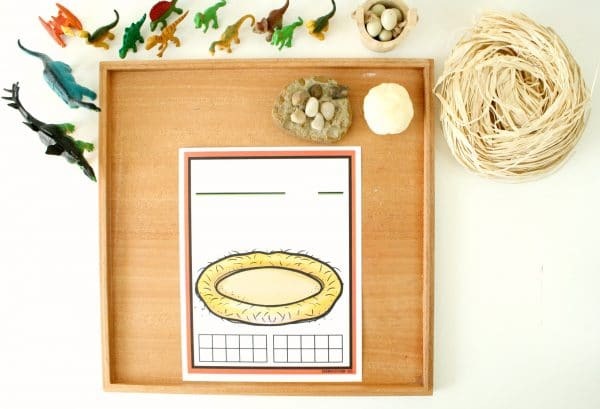 Watch this video to see how we used these free printable mats and the super easy way we made our “dinosaur egg” play dough. 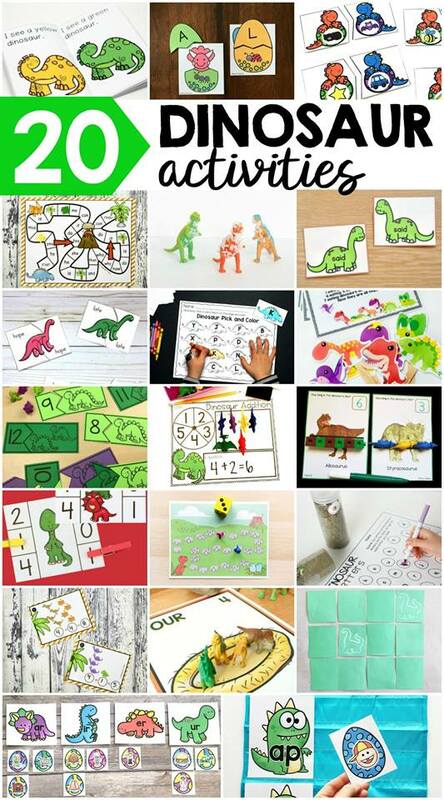 Kids don’t need very much direction with this activity, but you can differentiate a little bit by choosing which number mats to include. 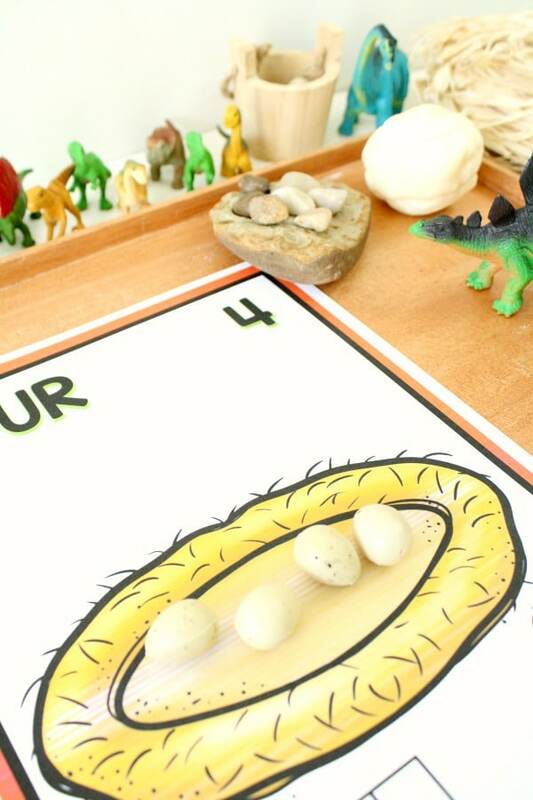 They’ll have fun adding “eggs” to each dinosaur nest, and it’s likely to lead to a lot of pretend play as well. 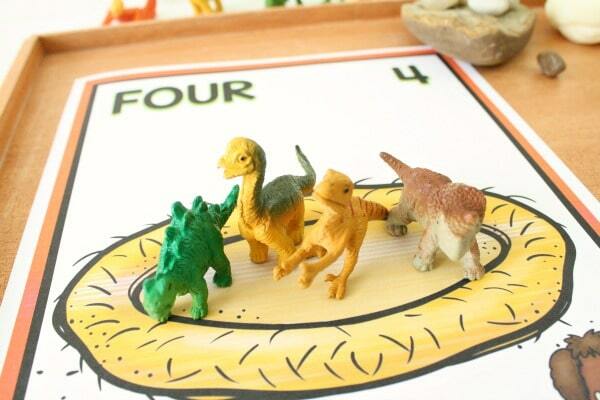 Be sure to have some “adult” dinosaurs on hand to help foster this imaginative play aspect even more. 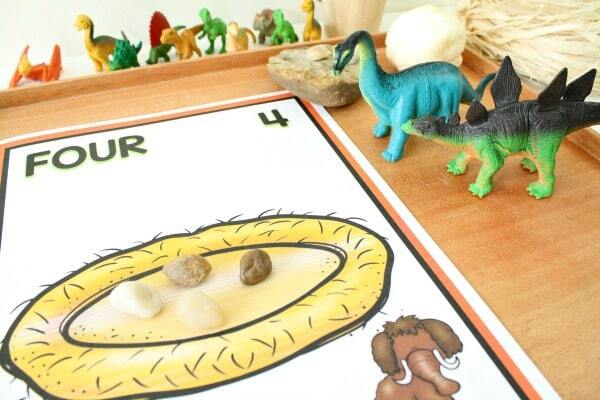 “Baby dinosaurs” add in another layer of fun as the eggs “hatch” and there are new dinosaurs to count and care for. 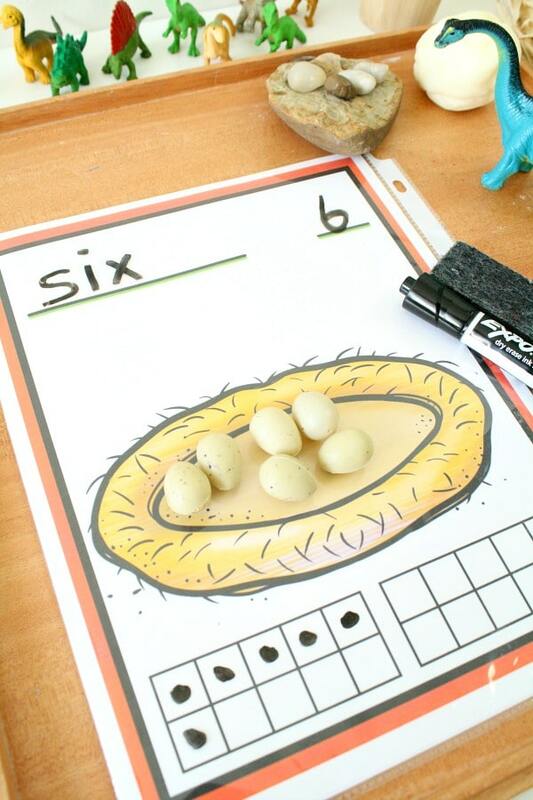 With this free printable set kids can work on numbers one through ten, but we’ve also included a blank version. 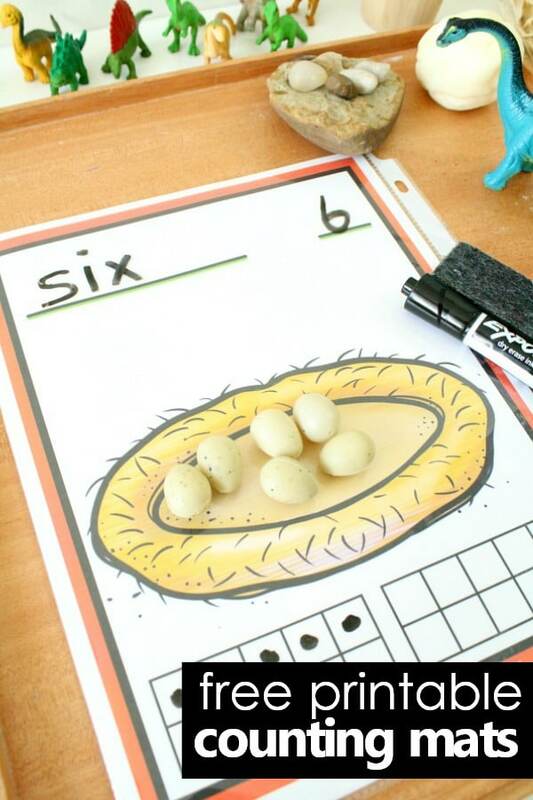 With this option you can include a dry erase marker, and kids can write numbers, number words and/or the correct number of dots in the ten frames as they add eggs or dinosaurs to the nest. This is a great way to increase the difficulty for kids who are ready for a bit more than counting alone. If you are working in small group with these mats you can also have kids use the blank mats to show one more or one less than a number that you give them. This way allows you to integrate addditional number sense skills. 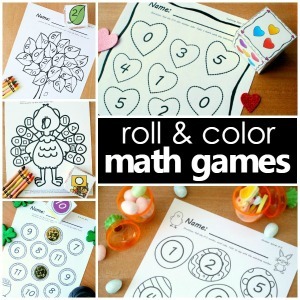 Inside this free printable you get color mats for numbers 1-10. There is also a blank page with lines and two ten frames for writing number words, writing numbers, and practicing numbers to 20. Click the link below to get yours! The teaching resource books below include excellent information about loose parts play and teaching number sense.